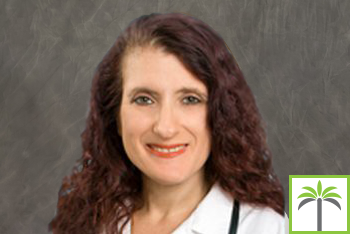 Debi has a Masters Degree in Health Science from Nova Southeastern University as well as a degree in Dietetic Technology. She enjoys working with Geriatrics and Nursing Home patients on many different issues especially focusing on Diabetes and Nutrition. Debi has an extensive background in nutrition and diabetic education as she has twaught diabetic education classes in the community. For the convenience of all our patients Debi can perform all Well Women’s Visits regardless of who their Doctor is. Debi is an avid NFL Football follower, being a lifetime Jacksonville Jaguars “Diehard” Fan.